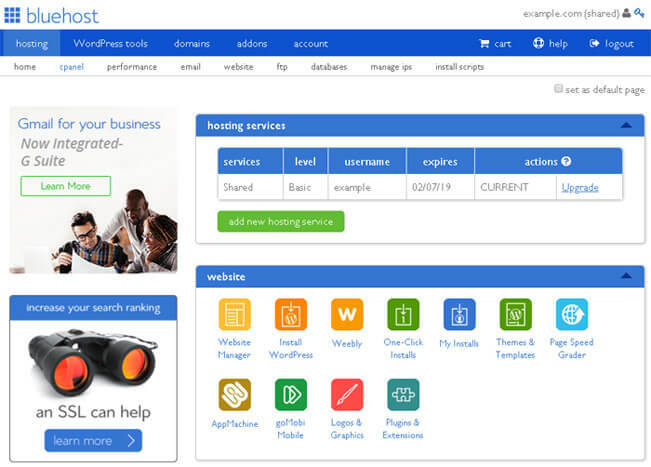 Bluehost vs SiteGround (April 2019) Who Wins? Bluehost vs SiteGround – Who’s the Champion? Are you trying to compare Bluehost and SiteGround? Having trouble deciding how they measure up? Are you also fed up with fake review websites that are just trying to earn a quick buck in commission? We’ve got good news for you—Instructify was created to help people learn how to build awesome, beautiful websites, and part of building a website is choosing where to host it. Because of that, we’ve created a number of hosting reviews and comparisons like the one you’ll find on this page. 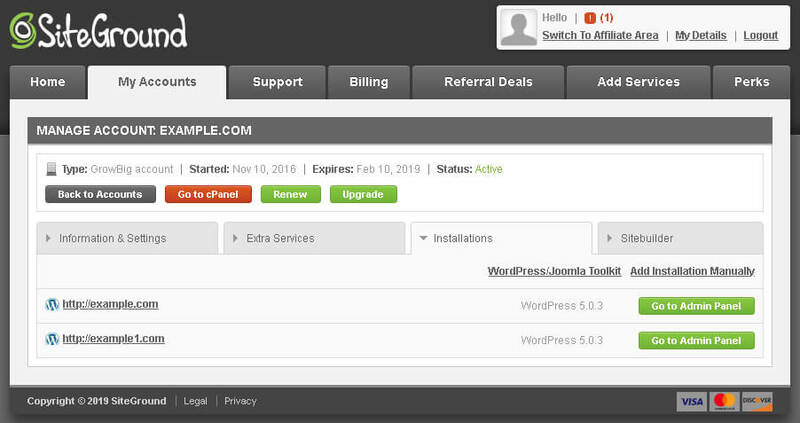 What makes Instructify different is that we actually use the hosts we review, we’re not just a scammy affiliate site looking to make a quick dollar off of anyone who’ll click. Yes, if you purchase hosting from one of our links we might get compensated for that with a small commission, but that doesn’t change our opinions, views, or anything! We’ll tell you 100% if a host is bad or should be avoided! Now, with that said—let’s get right into the review! SiteGround vs Bluehost – How Do They Stack Up? The Final Conclusion – Who Wins Overall? You can click on any of the categories above to jump to that section of the review, or you can just keep reading to start from the beginning! In order to get some good, objective performance data on each host knew we needed to run tests in an orderly fashion, at the same time and then record that data. To accomplish this, we used Dotcom-Monitor’s website monitoring platform for a few reasons. First, they monitor websites externally at set intervals, which means that we could “set it and forget it” for a six-month period to gather data. Second, they gather an incredible amount of data when they visit monitored websites, and we wanted to have a lot to sort through. After deciding on Dotcom-Monitor, we took two similarly-configured WordPress websites and set up monitoring—one on SiteGround, and one on Bluehost, and then let them go for 6 months. Page load statistics are very important, mainly because they paint a picture of how efficiently the server and database talk to each other, especially with a WordPress site. For this metric, we took three values—average page load speed, fastest page load speed, and slowest page load speed. Looking at the chart, it’s pretty clear that SiteGround won in all of these categories. Honestly, this isn’t surprising—their servers always feel super snappy and their built-in caching is excellent. The second type of statistics we measured in the speed/performance test was server response time. This metric doesn’t take into consideration how long it takes the site to load, but does measure how long it takes for the web server to respond. In this case, we did the same three types of data point—average server response time, fastest server response time, and slowest server response time. In all but the slowest server response time (over 6 months), SiteGround won again—and we’re not really surprised here. Bluehost is awesome, and speedy in their own right, but SiteGround has always been just a *little* faster in our opinion (and the data reflects that). So, the winner for speed and performance is SiteGround! Uptime is an interesting statistic, mainly because many people don’t seem to track it all that much anymore; it seems that people are more focused on speed and performance. While website speed is an important thing, no doubt, uptime is also very important—if your site is down, no one can visit it—so it doesn’t really matter how fast it is, right? With that said, Dotcom-Monitor has been monitoring websites since 1998 and provides an incredible amount of data through their monitoring platform, which is why we chose to use them—they’re reliable and give all the stats we need for this test. As you can see, both hosts had excellent uptime levels—both in the 99%+ range. However, SiteGround had the slight edge with 99.94% uptime to Bluehost’s 99.89% uptime over 6 months. Different hosts have different service level agreements (SLAs) that govern how much they guarantee their uptime will be and over what time frame. 99.9%+ is a common uptime percentage that many hosts guarantee, which SiteGround met and Bluehost basically did as well (only .01% short). But because SiteGround was slightly better here, we have to give the win in this category to SiteGround. Pricing: SiteGround and Bluehost – Who is the Best Value? 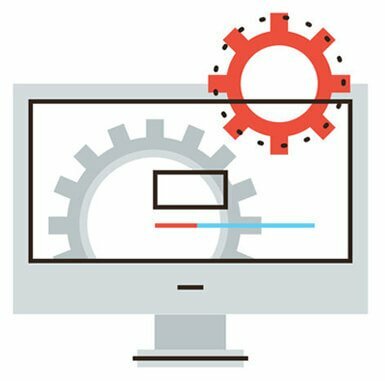 It’s great to look at different metrics like website performance, uptime, and other various data points and compare different hosts—but at the end of the day, there’s a cost associated with buying hosting, and that’s typically a consideration for most people, so it’s definitely a factor that needs to be considered. Let’s take a look at a simple pricing table and see how SiteGround vs Bluehost looks in terms of pricing. Let’s break down the pricing in this table. First of all, we’re only looking at the cheapest plans in this comparison, and not the larger plans because we feel that a) these are the plans most people are interested in, b) that their higher tier plans are more comparable, and c) this is the most accurate way to compare them, looking at their each of their most competitive offerings. In the table above, the block is highlighted green when one host “wins” the category, and if it’s a tie then both are highlighted green. As you can see from above, Bluehost wins 5 categories and so does SiteGround. It’s pretty clear to see Bluehost definitely allows more storage and more traffic, but they are tied on the number of websites that can be hosted in the cheapest plan. 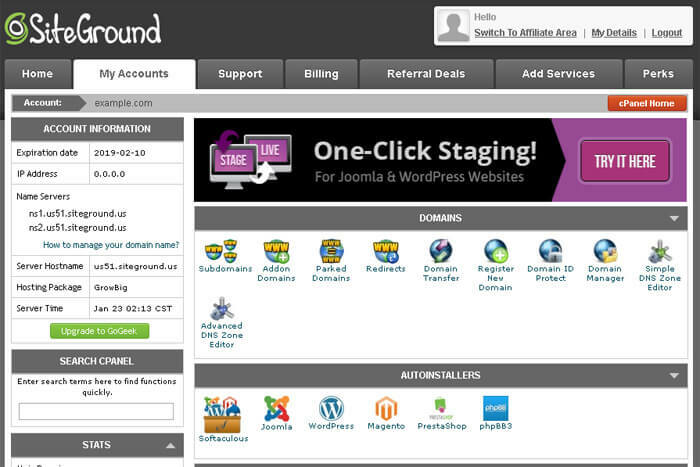 SiteGround allows more email addresses, but they both have cPanel. SiteGround does have better built-in caching features, but Bluehost is a little cheaper. So, who takes the cake in the pricing category? Bluehost. They are simple cheaper with an almost identical feature set and they offer a little more room to grow in terms of bandwidth and storage space with their smallest plan. Support – How Does Bluehost Measure Up Against SiteGround? Support is one of the most important things that has to be considered when choosing a hosting company. We’ll say this one more time just to make it clear—support is one of, if not THE most important thing to consider with hosting companies. There’s no doubt about it—your site WILL go down at some point, and there WILL be problems. It’s not a question of IF, it’s a question of WHEN. And when you do inevitably have trouble with your website, you’ll need to really have a great support team that you can draw on in order to fix your site and get it up and running again. We literally cannot stress enough just how important it is to have a host with great support—it is really something that can make a huge difference in getting a problem solved correctly and solved fast. So, let’s take a quick look at the qualities that a great support staff has. Good Support – What Makes or Breaks It? There’s no point in having a great support team if you can’t access them. It really stinks to be sitting around trying frantically to get a hold of support when your site is down, only to find out that they don’t respond and you’re endlessly stuck on chat. Both SiteGround and Bluehost have 24/7/365 telephone, chat, and ticket support, and they’re both well-staffed, so this isn’t a problem with either one. And sometimes it’s nice to have the option to access support by phone, chat, or email depending upon what your issue is and how long it might take to get fixed. Sometimes it’s nice to just hop on a phone call and describe your problem to someone. Other times, you really just need a quick question answered and may not be able to sit on a call, and in that case chat can be helpful. Ticket support is great for more in-depth problems where a technician needs some time to implement a fix, so really all three options are great to have, and Bluehost and SiteGround offer all of these. It’s super annoying to be talking to support and the just constantly rephrase your question trying to understand and never really have a good answer. Support technicians, whether it be chat, email, or phone support, should really know more than you about how the servers work and how to fix problems. There have been a lot of times where we end up knowing more than the support technician who helps us, and that’s not good. There have also been many times where the support technicians actually know more than we do about the servers (as they should). We can honestly say with Bluehost and SiteGround, the technicians are very knowledgeable and we haven’t really had this issue, although we might give a slight edge to the SiteGround Technicians in this area. Good support is fast—there’s no way around that. You don’t want to be waiting and waiting for a ticket to be answered or a technician to come back to chat while your site is down or there’s a problem with it. Yes, sometimes support technicians need to escalate the problem to a senior technician, but this should never take too long. And yes, there are some problems that can’t be solved over chat and have to be solved via tickets simply because they implementation of the solution is so complex. With that said, Bluehost and SiteGround are both good in this area, but we’d give an overall edge to SiteGround in terms of support. They are just absolutely on top of their game at all times from what we’ve seen, and they are also very fast. The support winner—SiteGround. They’re fast, super knowledgeable, and really hard to beat. 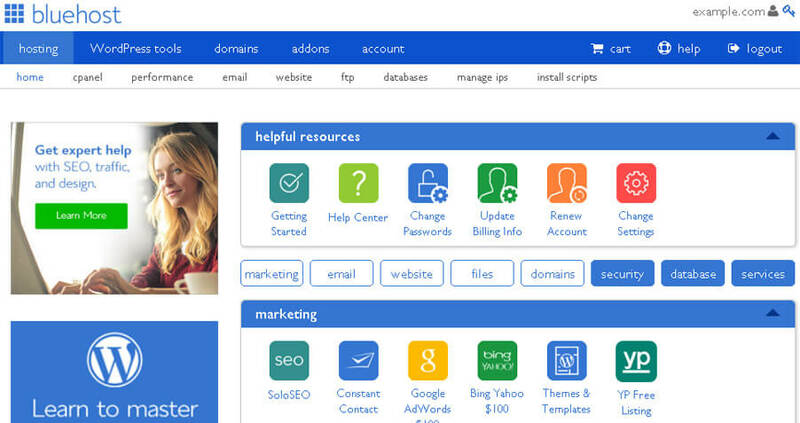 User Interface: Who is Better – SiteGround or Bluehost? 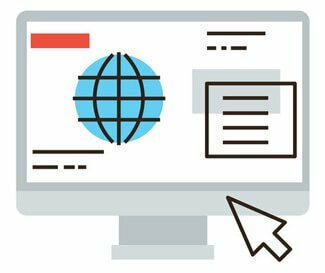 When it comes to the user interface and the back end of a hosting account, it’s important that it’s easy to navigate and easy to understand so you’re not spending too much time fussing around trying to change simple things. Yes, you can always ask support, but ideally the user interface should be very clean, clear, and easy to use (one area where Dreamhost fails miserably). With SiteGround and Bluehost, they both use cPanel, so some of the styling is a bit out of their control—however, they each put their own skin on top of cPanel and they also have their own account settings screens and navigation menus. 1) Their interface has a darker color scheme, which can be a bit easier on the eyes after a long day of coding. 2) The dark color scheme seems a bit less washed out. 3) We find that their account screen is laid out a bit more sensibly; things just “seem” like they are in a more intuitive spot. So, we’d have to give the user interface category to SiteGround. It’s important to note though that Bluehost isn’t bad at all—in fact, their admin panel is much better than many other hosts, it’s just that we personally prefer the darker color scheme that SiteGround has and a few other small things. What about extra features? Does one plan have different bells and whistles that the other plan doesn’t have? Well, sort of. They each have a few little different things that the other doesn’t have, but for the most part they are 90%+ the same in terms of the main features. SiteGround does have some really cool caching tools that Bluehost doesn’t have, and this can help your site to load a bit quicker. They also have some really slick settings for Let’s Encrypt SSLs to be auto-renewed and a WordPress plugin that works with their caching tools, again, to make the site faster. Bluehost does offer more storage space and unlimited bandwidth. They way that SiteGround measures their bandwidth is a bit strange. For example, they list their smallest plan as being capable of 10,000 visits per month, but if you press their technicians about metering bandwidth, they have told us it’s not something they do—but then why list a number like that? They say it’s just to help give people an idea of how powerful the server is, but we’ve also never had a site hosted with them that blew that number out of the water, so it’s hard to say what would happen if you started getting a ton of traffic on their smallest plan. That said, both hosts are very similar and each one does a great job of covering most of the features that people want. In this category though, we’d probably give a slight edge to Bluehost, just because they seem to be a little more straightforward, even though they don’t have the caching features. 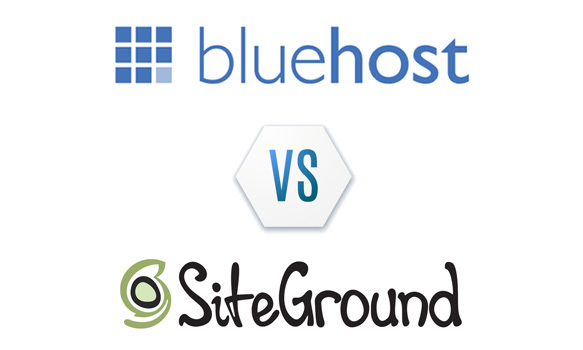 The Final Conclusion – Who Wins: Bluehost or SiteGround? Before we choose an overall winner, it’s important to understand that both of these hosts are excellent, and we use both of them ourselves on a regular basis. Both Bluehost and SiteGround represent an amazing value in hosting, have great support, and are excellent offerings. With that said, SiteGround won 4/6 categories, so we’re going to crown them the winner of this comparison! And with a 30-day money back guarantee, you’ve really got nothing to lose giving them a try and seeing how their service measures up. From our experience, we’ve never been disappointed with SiteGround and they’ve always gone out of their way to help with any problems that we’ve had. They are an excellent host and we can recommend them with 100% confidence!